​What house renovation ​​info are you looking for? 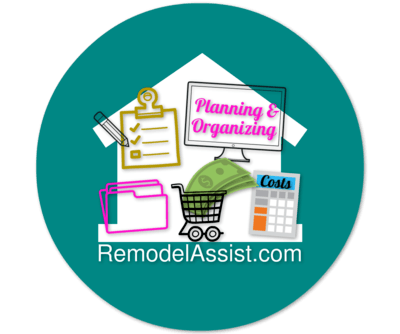 On This Page: ​Read about the new house renovation tips planning & organizing ​page. ​Don Roberts of RemodelAssist, a homeowner and home remodeling expert, shares on his home remodeling tips website the way to get ready for and organize the documentation for a home remodeling project. Stressing the importance of the “planning stage of a home remodeling project,” as well as “organizing all remodeling project related documentation,” Don helps homeowners make the process go easier and with less frustration. ​The article “Initial Planning and Organizing” ​focuses on various things during the home renovation planning and organizing​ phase. For instance, Don provides insight on whether it would be better for the homeowner to move instead of remodeling or the other way around. Depending on various factors​, remodeling might not be the best ​decision. ​Other topics the article ​includes are how to determine realistic remodeling costs, organizing the remodeling project documentation, and the scope of the remodeling project. Don also shares info on topics including financing ​your home renovation project, insurance coverage, project safety​ & security, as well as giving the neighbors a head’s up about the noise and mess of the project. In any home remodeling project, it is critical to gather up as much relevant information about the project as possible, including knowing how much of a remodel you can afford. The information RemodelAssist provides the site visitors ​helps their remodel project to go a lot smoother. Proper planning and organization of home renovation projects have many benefits to offer. The biggest advantage is the homeowner will typically have fewer frustrations and unpleasant surprises during the whole process. The process starts with home remodeling planning ideas. Before the start of the project, it is vital to have settled on a few ideas of how ​homeowners would want the project to look when it is completed. Once the homeowner has decided on ideas for a home remodel, they can begin organizing what they need to do using a home remodeling checklist (or home remodeling worksheet). In the article found at RemodelAssist.com, Don helps his readers create ​a remodeling checklist to ensure their project goes according to plan and schedule. The checklist includes initial activities concerning ​a typical home remodeling project​. Without a well-organized plan put in place, ​home renovation projects ​typically encounter all sorts of problems. A proper approach ​will help ensure that the necessary steps are taken to get a remodeling project started, including that there is time to research costs and identify ​the desired materials. It also helps the homeowner ​organize documents that need to be referenced later, such as project milestone schedules, contractor quotes, and anything else vital to the successful completion of the project. RemodelAssist.com shares everything homeowners need ​to know ​to get up-to-speed quickly on home remodeling projects. Besides tips on ​initial planning and organization for the home remodeling project, RemodelAssist also provides insider tips on several other topics. ​Included in those are selecting a project manager, architect, contractors, and other consultants, as well as providing tips for contracts. Don also ​provides tips on remodeling loan mortgage refinancing. ​RemodelAssist is a website created by Don Roberts, a homeowner who went through a full home renovation on his own home. ​Don shares tips, advice, & resources, as well as what to watch out for in a home remodeling project, to help streamline the process for other homeowners. For more information, please visit ​Remodel​Assist.com.